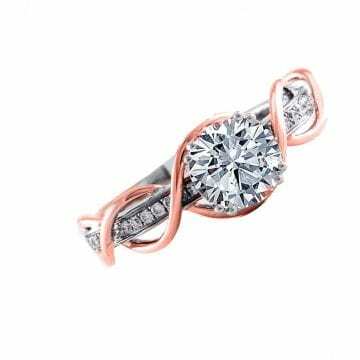 The 14kt gold diamond engagement ring has a carat weight of 0.47ctw. Center diamond sold separately. 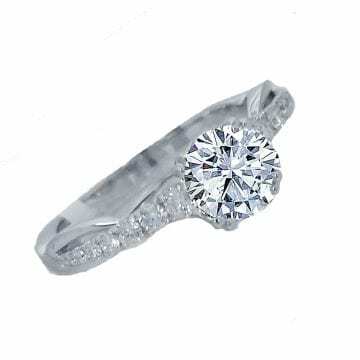 The 18kt diamond engagement ring has a carat weight of 0.51ctw. Center diamond sold separately. 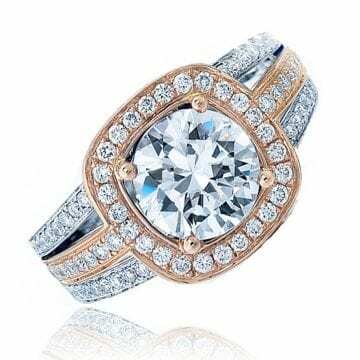 The 14kt gold diamond engagement ring has a carat weight of 0.35ctw. Center diamond sold separately. 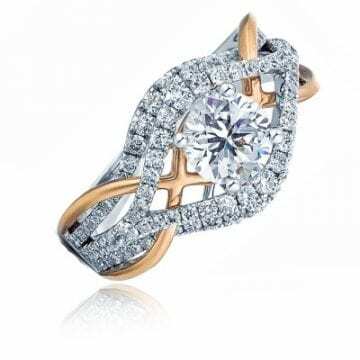 The 14kt gold diamond engagement ring has a carat weight of 0.84ctw. Center diamond sold separately. 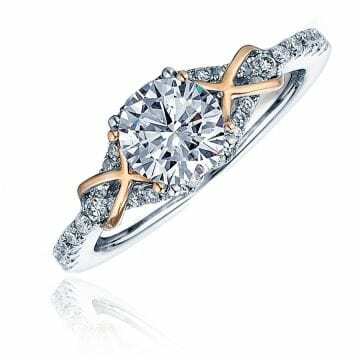 The 14kt gold diamond engagement ring has a carat of 0.27ctw. Center diamond sold separately. 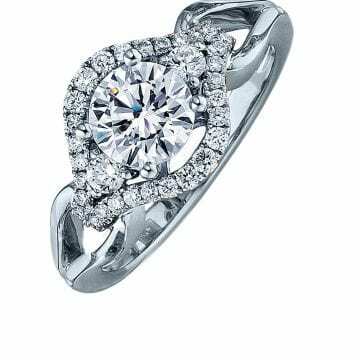 The 14kt gold diamond engagement ring has a carat weight of 0.27ctw. Center diamond sold separately. 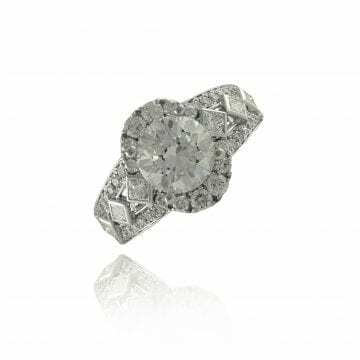 The 14kt white gold diamond engagement ring has a carat weight of 0.14ctw. Center diamond sold separately. 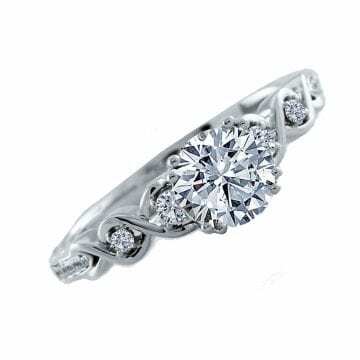 The 14kt gold diamond engagement ring has a carat weight of 0.25ctw. Center diamond sold separately. 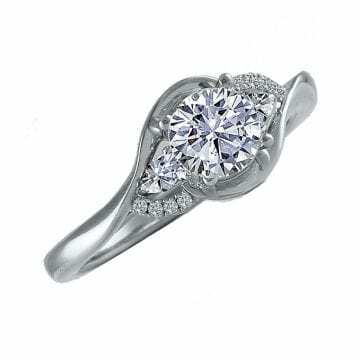 The 14kt gold diamond engagement ring has a carat weight of 0.12ctw. Center diamond sold separately. 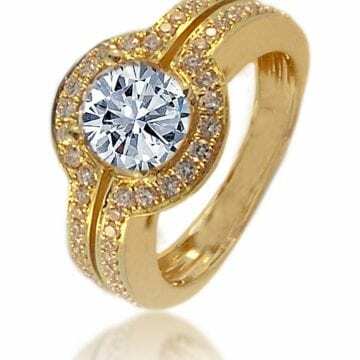 The 14kt gold diamond engagement ring had a carat weight of 0.59ctw. Center diamond sold separately.